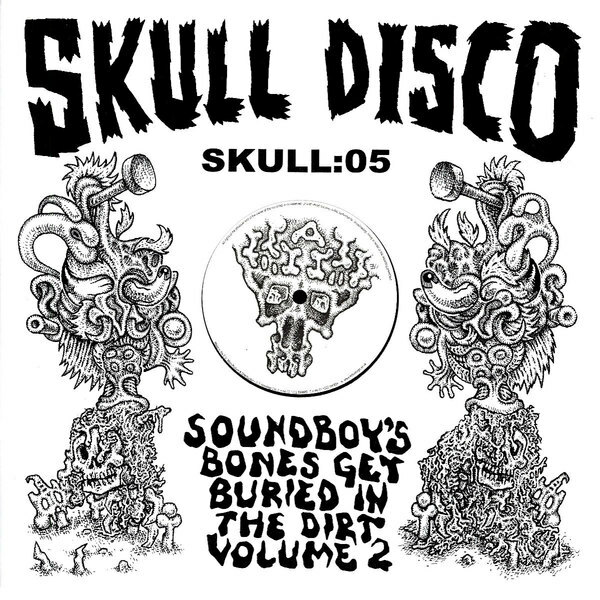 The return of Shackleton and Appleblim for another Skull Disco reunion. Appleblim wins the toss and kicks off the A-side with the monstrous 'Fear' riddim (versioned by Riko on Appleblim's myspace), decimating the step to a rigid pattern allowing room for nasty hoover manuevers and grumbling bass to carve out slo-mo actions kinda like Bizzy B on ketamine. Shackleton invades Muslimgauze territory on the flip (coincidentally both producers hail from deepest Lancashire, strange eh? ), with deliciously tangible percussion, abyssal bass undulations and heavy artillery dub strikes worked into another completely unique Shackleton special. I've said it before and I'll say it again, this man is definitely on it. Killer.